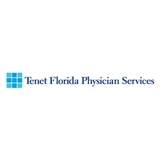 Tenet Florida Physician Services (Hollywood) - Book Appointment Online! Great doctor, very caring, very knowledgeable, had an answer for every question. On my first visit I knew I wanted Dr Cutie for my care. Highly recommend.